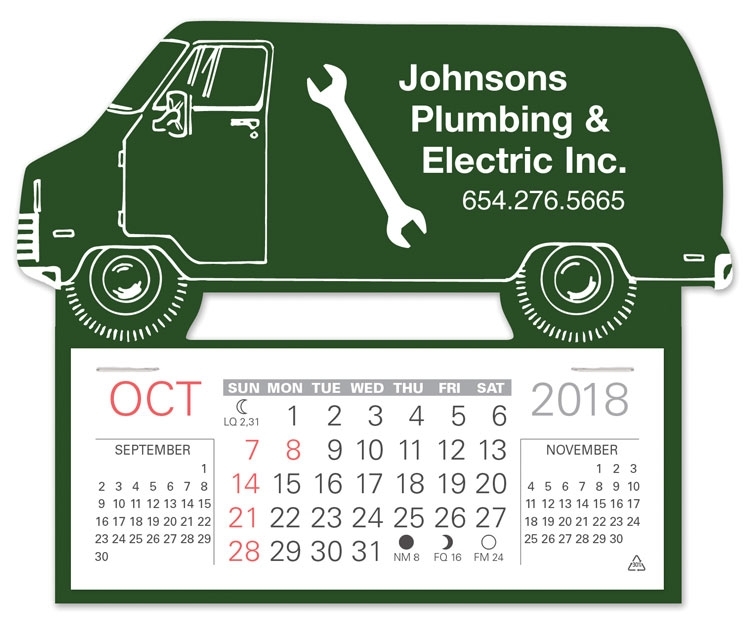 Low cost, self-adhering stick-on Calendars that go anywhere are the ideal way to keep your name in front of your customers and prospects all year long. 7 stock shapes available in 8 vinyl colors with a FREE under the datepad imprint!. Packed in a FREE Counter Display for retail distribution and light enough to mail with no additional postage charges. Specify Standard or Spanish 13 month date pad included in the price. Price includes a one color imprint 2 1/2"w x 1"h.
Custom shapes are available with a minimum qty. of 1000 pcs. Please call for details. 7 vinyl colors available with standard foil-stamped imprint colors. No set-up charges with standard 1 color imprint. All calendars have 13 month pads. Spanish Pad available at no charge on styles 702, 711 & 712 only.